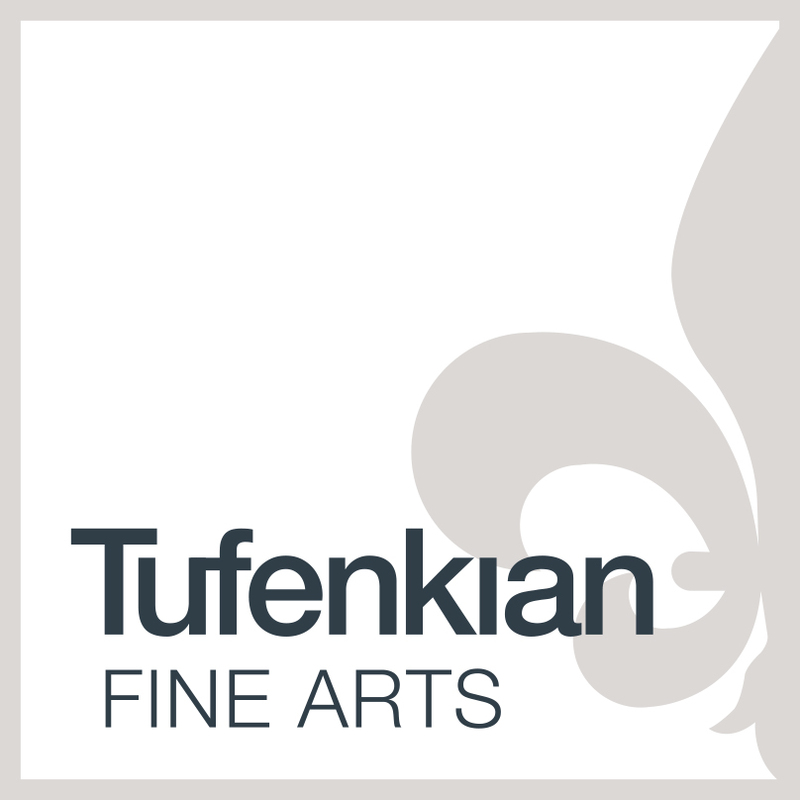 Los Angeles, August 20, 2018 – Tufenkian Fine Arts is honored to present That Layered Look, a group exhibition curated by Peter Frank, featuring selected works by Alexander, Chuck Arnoldi, Fatemeh Burnes, Sigrid Burton, Andrée B. Carter, Laddie John Dill, Diane Holland, Gegam Kacherian, KuBO, Danny Shain, and Torie Zalben. The Artist Reception will be held on Wednesday, September 5th, 2018, beginning at 7 pm. The show will remain open through September 25th, 2018. The layering evident in the work comprising “That Layered Look” ranges from the physical to the optical to the multi-mediumistic. Recessional space described in layers, as seen in Renaissance and Baroque painting, determines the canvases of Sigrid Burton and Fatemeh Burnes, while Charles Arnoldi inscribes relatively shallow spaces with masses of seemingly endless tendrils. Gegam Kacherian’s even more ambiguous spaces host a welter of shifting imagery, while Danny Shain oscillates between image and material, building outward from fictitious to real space. KuBO uses raw pigment to build up layers of texture and color, Andrée B. Carter weaves line and color literally as well as figuratively, and Laddie John Dill’s classic wallworks of burnished aluminum or concrete and glass articulate materials against one another. Sharon Bell’s map- and notation-like collages, Diane Holland’s collage-like image superpositions, and Torie Zalben’s eruptive photographic fusions all explore realms of densely layered visual experience. Finally, Alexander’s unlikely combinations of paint, three-dimensional construction, and holography propose a layering of the second, third, and fourth dimensions.